TT: How have you been involved in the exhibition? ET: I have been uncovering new information about Bess from her letters, which have now been transcribed. Previously, there were great gaps in our knowledge about her, but now we are able to fill it in. We think we know Bess, but we don’t yet know her. Let’s challenge the stale representation from one-sided sources. For too long, we have taken other people’s opinion of her at face value, now we can see her in her own words – and all the different facets of her. The modern women [photographed for the exhibition] that you can see all the walls show different facets of her. TT: What area of her life has most interested you? ET: I have been really drawn in by the letters surrounding her marital breakdown. So much of what we think we know about Bess comes from her estranged husband’s [TT: 4th husband – George Talbot, 6th Earl of Shrewsbury] view of her. But there is another side – after all, the Commission that Elizabeth I set up to investigate the breakdown of Bess’ marriage exonerated her from all blame. TT: Why do you think her marriage to Shrewsbury failed? ET: Probably in part the strain of Shrewsbury having to guard Mary, Queen of Scots. It was incredibly expensive and stressful. In the beginning, you can see from the letters, he and Bess were really fond of each other, but you can see that changing over time. TT: Didn’t Bess and Mary get on well to begin with? ET: So far as we know, but we only have Shrewsbury’s letters to go on. I don’t think Mary set out to come between them, but she had her own agenda. TT: Escaping from captivity, presumably! ET: Yes, exactly. But Shrewsbury blamed Bess for what went wrong in their marriage, even though the Commission didn’t. Although it’s fair to say that whilst Bess had very good relationships with some of her children, she did have a strained relationship with her eldest son, married to Shrewsbury’s daughter. TT: Do you think Elizabeth I felt any guilt over the breakdown of the marriage, and that that is why she set up the Commission? 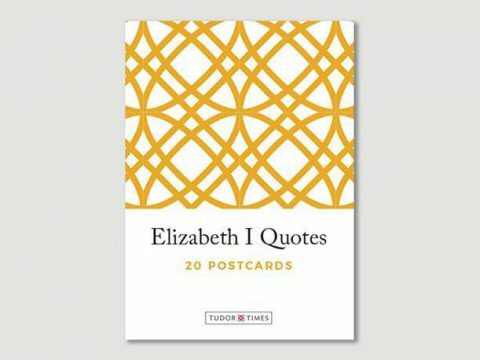 ET: No, I don’t think Elizabeth I ever felt any guilt over her actions – like her father, she would never accept any blame – it was always someone else’s fault. TT: What do you think we can learn from Bess today? And how is that reflected in the exhibition? ET: I think we can look at how we interpret the same actions by a man or a woman. Was Bess stubborn, or merely holding her own? She was also an extremely skilled politician. She had networks amongst both the men of Elizabeth’s court – you can see her writing to Burghley and to Leicester – but also amongst the women who were close to Elizabeth. You can see her writing to them for advice on what to give the queen for a New Year gift. She knew how to use her networks amongst both men and women. TT: What has impressed you about Bess the most? ET: How savvy and resourceful she was, and how well she used her networks. TT: And what do you hope today’s visitors will take from the exhibition? ET: Bess is a great example of how to work around obstacles – we can learn not to give up.